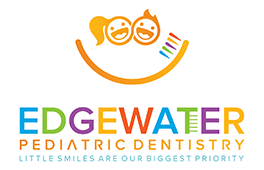 Board-certified pediatric dentist Rosalie Nguyen, DMD, and the experienced team at Edgewater Pediatric Dentistry are committed to keeping their practice in Edgewater, New Jersey, up to date with the latest techniques in pediatric dental care. That’s why they use advanced laser technology to alleviate painful canker sores, expose partially erupted teeth, and resolve other common soft tissue problems as safely, quickly, and comfortably as possible. To learn more about the benefits of soft tissue laser dentistry, call or book an appointment online today. Dental lasers are a noninvasive, high-precision tool that can treat a wide range of oral problems quickly, effectively, and with minimal discomfort. Like other types of medical lasers, dental lasers use specific wavelengths of energy to restore, manage, or improve the soft tissues of the mouth. Because dental lasers are so gentle, they can often be used without the need for local anesthetic. In pediatric dentistry, the primary benefit of using lasers is enhanced comfort. When it comes to young patients, fast treatment time with minimal discomfort is always a top priority. Dr. Nguyen and her team often use soft tissue lasers in conjunction with other tools to increase the precision, speed, and effectiveness of soft tissue dental procedures that would otherwise require more invasive treatment techniques, like electrosurgery. Any time a laser can be used instead of a scalpel, young patients are generally more relaxed and experience less anxiety. Besides being more precise than traditional instruments, dental lasers are better for controlling bleeding during oral surgery, often eliminating the need for sutures altogether. Because laser energy promotes rapid tissue regeneration, gums and other soft tissues tend to heal much faster following dental procedures that use laser technology. Lasers also have a sterilizing effect that helps limit the risk of infection and reduce the presence of bacteria in diseased root canals and gum tissues. Is laser dentistry safe for children? After decades of widespread use in dentistry, lasers are considered safe for adults and children alike. Furthermore, all dental lasers sold in the United States have been approved by the FDA after a thorough evaluation of their safety and effectiveness. Dr. Nguyen and her team use the Picasso Plus dental laser from AMD LasersⓇ, a highly advanced laser platform. With its variety of tips and accessories, the Picasso laser is a versatile tool that can be easily customized to meet the needs of pediatric patients. To learn more about laser dentistry or to schedule your child’s next dental visit, call the office or use the convenient online booking feature.